In the UK, British mortgage approvals hit a two-year high in January and consumer credit expanded at the fastest pace in a decade. Mortgage approvals for house purchases numbered 74,581 in January from 71,335 in December. These strong figures are likely to add a case for a tightening of lending requirements by the central bank to prevent the housing market from overheating further. Consumer credit also grew by 9.1 percent year-on-year in January, picking up speed from December to hit its fastest pace since January 2006. Britain's economic recovery is still heavily reliant on spending by households many of which have been buoyed by strong growth in the value of their homes. The UK manufacturing sector is getting closer to contraction: a score of 50.8 points the worst in three years reflects very slow growth, much worse than the expected slide from 52.9 to 52.2. The survey showed demand at home slowed while export orders fell to their weakest since the turnaround began in 2013. Britain is not alone: slowdowns have been seen also in China, the US and the Eurozone. 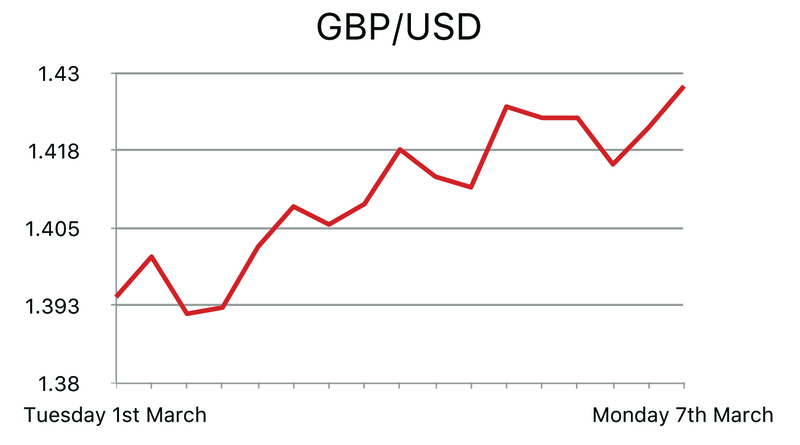 Sterling fell against the dollar and euro after the Services PMI index fell to its lowest in three years to 52.7 from 55.6 in February. With UK services a dominant force in the UK economy there are concerns that overall GDP in the first quarter of 2016 could weaken to just 0.3 percent the lowest level since late 2012. 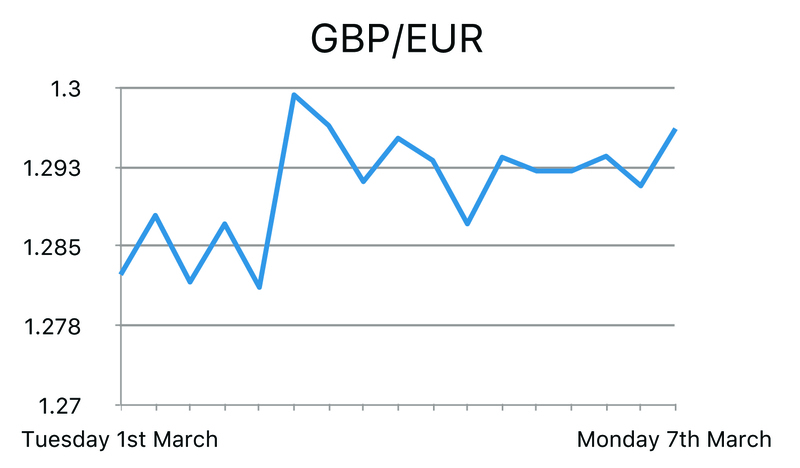 The pound is still struggling with the chances of an exit from the European Union. The “Brexit” is now seen as a threat not only to the UK but also to Europe and the whole world, according to the G20 Summit. Two research articles, published major global banks, both stated that they see enough downside potential in GBP for it to hit parity against the Euro should the UK exit the European Union. They found that GBP/EUR would either move close to the 1.40 level if the UK remained in the EU, or to parity, if Britain left. They added that if Britain voted to stay in, the market would once again start to anticipate a Bank of England rate rise soon after. 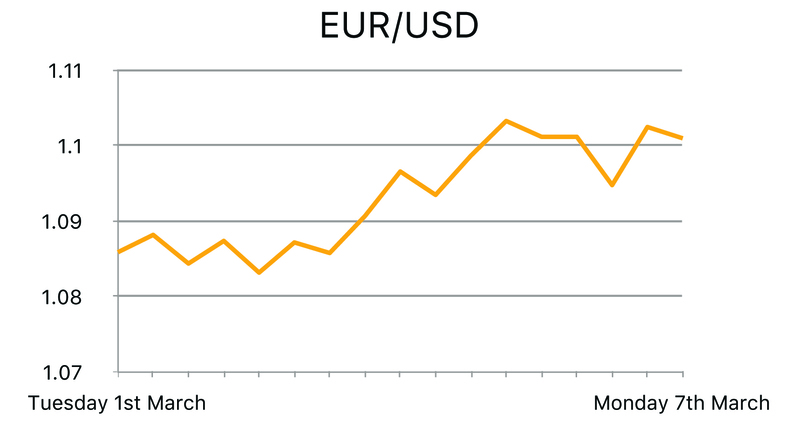 Eurozone inflation turned negative in February boosting expectations that the European Central Bank will unveil another stimulus package at its next policy meeting on March 10. The decline was more than anticipated, the consensus in the markets was for a drop to zero. The decline is largely due to a big decrease in energy costs, which were 8 percent lower in the year to February against the previous months 5.4 percent drop. Unemployment in the Eurozone fell for a third consecutive month in January, dropping to its lowest rate since August 2011. Eurostat said the jobless rate in the 19-country Eurozone declined to 10.3% in January from 10.4% in December. The number of people unemployed in the Eurozone fell by 105,000 to 16.65 million. The US manufacturing sector contracted for a fifth consecutive month in February a score of 49.5 points in the ISM Manufacturing PMI was released yesterday, despite this being in negative territory, it was better than the expected 48.5 and previous 48.2. New orders are holding steady at higher levels, in another dose of good news for the economy after growth slowed in the fourth quarter. Orders to U.S. factories increased in January by the most in seven months, Factory orders rose 1.6 percent in January after two months of declines. ADP Non-Farm Employment change figures which came out at 214,000 which were significantly above expectations of 190,000. Of this, 76,000 jobs were created in small businesses and 18,000 within franchise employment. As employment has a direct correlation with consumer spending and economic activity, it was unusual to see that no real gains were made for the Dollar after the release. The number of Americans filing for unemployment benefits unexpectedly rose last week, but the underlying trend continued to point to a strengthening labour market. Initial claims for state unemployment benefits increased 6,000 to a seasonally adjusted 278,000 for the week ended Feb. Claims have now been below the 300,000 threshold, which is associated with healthy labour market conditions, for 52 straight weeks. That is the longest period since the early 1970s. U.S. manufacturers' exports have been hurt this year by spreading economic weakness overseas and by a strong dollar, which has made their goods less competitive. And a sharp fall in oil prices has hurt investment. The somewhat positive jobs figure and strong factory orders was not enough to prevent a dollar sell off as the final Markit Services PMI figure posted its biggest contraction since October 2013 falling to 49.7. This shows that both services and manufacturing have fallen in the US this month indicating the US economy may be showing some sign of distress, if this is the case it will make Janet Yellen and the Fed less likely to raise interest rates this month and talk of four interest rate hikes this year could be off the table in 2016.